A graveside service for Michael Sidney Ryan, age 66, of Painesville, will take place, Monday, September 24, 2018 at 11:00 AM in Riverside Cemetery, 385 Riverside Drive , Painesville, OH. Mike was the son of George and Fredia Ryan born on December 29th, 1951 in Painesville and passed away August 20, 2018 at his home in Painesville. Mike graduated in 1970 from Harvey High School in Painesville. He served in the US Navy during Vietnam on the USS Saratoga. 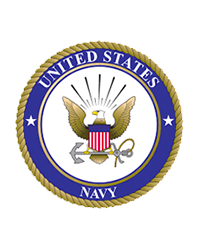 Upon leaving the Navy he was an active member of various Veterans organizations. He served as Commander of the VFW Post 2595 for a number of years, as well as serving on the Honor Color Guard of the VFW and American Legion. He retired from Avery Dennison (Fasson) in Painesville after many years of service. Mike was an avid bowler at the former Mar-Val lanes in Painesville, where he bowled multiple 300 games. He enjoyed restoring old cars and motorcycles and camping with his family. He is survived by sons, Chad (Jennie) Ryan and Michael (Sheena) Ryan; sister, Becky (Charles) Snyder; stepdaughters, Kimberly Pyles, Jennifer (Mike) Palecek, and Janice Edinger; grandchildren, Madison, Chad Jr, and Alexis. Donations can be made to the family.